Get the benefits you deserve, whether it's Social Security Disability, adult SSI or child SSI. Call for a free consultation: (856) 513-6362. Are you sick and out of work? Have you been denied Social Security Disability or SSI? Don't accept that denial. You need to appeal. Or maybe you're thinking about applying. 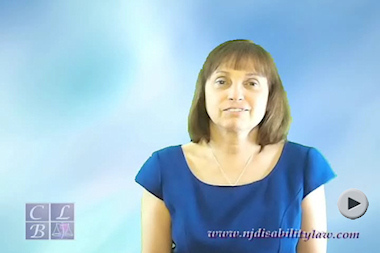 Trying to get SSI for your child with a disability? Cathy Brackin has been advocating for the disabled of South Jersey since 1985. Ms. Brackin serves Gloucester County, Camden County, Burlington County, Cumberland County, Salem County, Ocean County, Atlantic County and Cape May County. Call (856) 513-6362. Quiz- Are you disabled ? The Law Office of Cathy L. Brackin is conveniently located on Route 42 in Turnersville, Gloucester County, between Super Wawa and Lowe's. It is easily accessible from the Atlantic City Expressway, Exit 41 (Berlin-Cross Keys). The office can be reached by New Jersey Transit Routes 400 and 403. This website is designed for general information only. It is not intended to give legal advice. You should consult an attorney for individual advice concerning your own situation.